A section of the former Great Western Railway mainline which once linked Birmingham with Cheltenham and which closed in 1976. 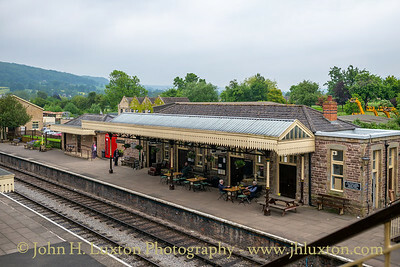 Winchcombe railway station serves Winchcombe in Gloucestershire, England, although it is actually located in the village of Greet. 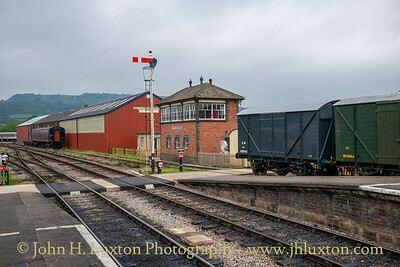 The station closed to passengers in 1960, although the line itself remained open for freight and diversionary use until 1976, when a freight train derailed near Winchcombe and damaged the track. 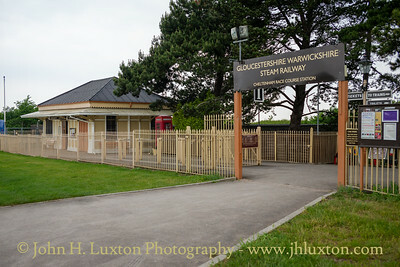 The Gloucester and Warwickshire Railway have constructed a new station on the site of the original building, the main station building being the former station at Monmouth Troy in Wales. The building being moved brick by brock to the present site. The original weighbridge survived the demolition of the original station. 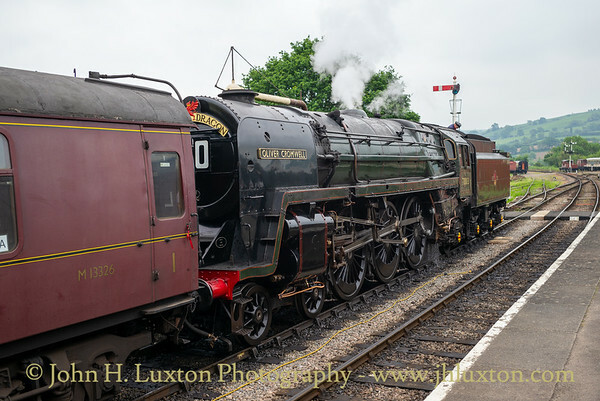 Winchcombe railway station serves Winchcombe in Gloucestershire, England, although it is actually located in the village of Greet. 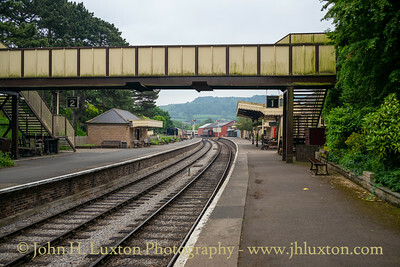 The station closed to passengers in 1960, although the line itself remained open for freight and diversionary use until 1976, when a freight train derailed near Winchcombe and damaged the track. 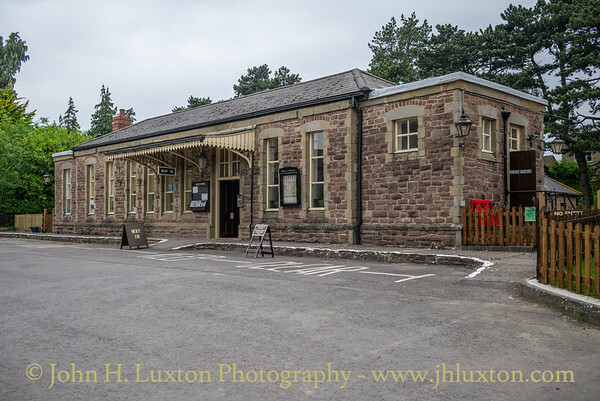 The Gloucester and Warwickshire Railway have constructed a new station on the site of the original building, the main station building being the former station at Monmouth Troy in Wales. The building being moved brick by brock to the present site. 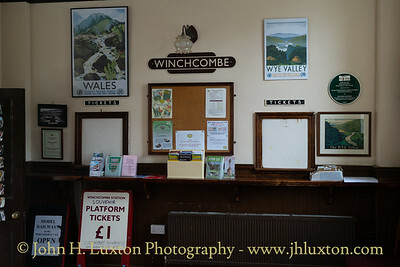 Booking Office interior Winchcombe railway station serves Winchcombe in Gloucestershire, England, although it is actually located in the village of Greet. 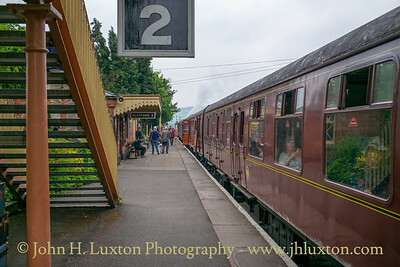 The station closed to passengers in 1960, although the line itself remained open for freight and diversionary use until 1976, when a freight train derailed near Winchcombe and damaged the track. 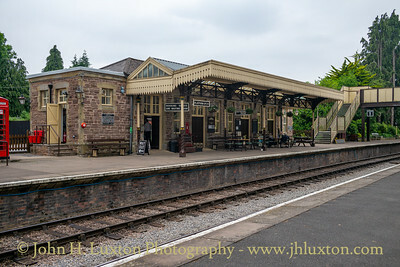 The Gloucester and Warwickshire Railway have constructed a new station on the site of the original building, the main station building being the former station at Monmouth Troy in Wales. The building being moved brick by brock to the present site. 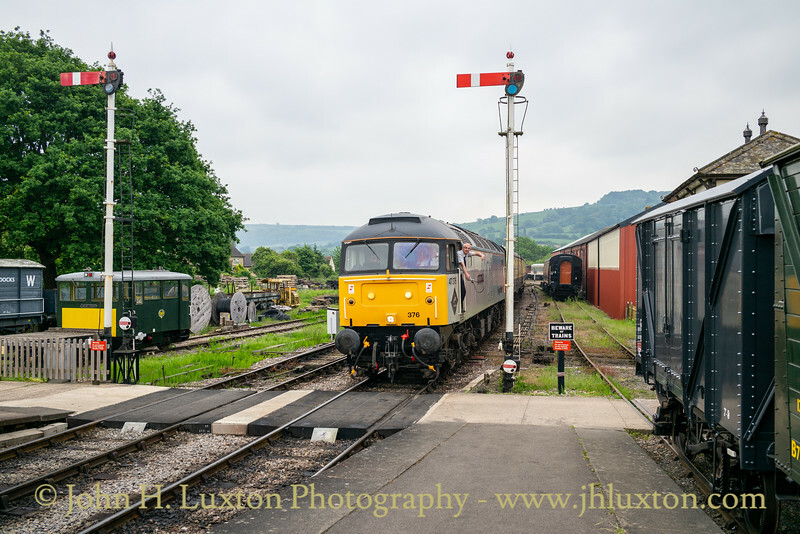 Class 47 47376 "FREIGHTLINER 1995" arrives at Winchcombe station. 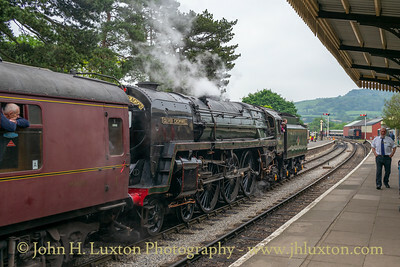 British Railways standard class 7 / Britannia Class 70013 OLIVER CROMWELL built at Crewe works in 1951 seen at Winchcombe Station with a train from Cheltenham Race Course to Broadway. 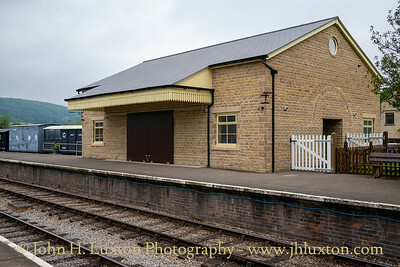 The former Monmouth (Troy) station building at Winchcombe. Cheltenham Racecourse railway station was built to serve Cheltenham Racecourse and is located on the former ex-GWR Cheltenham to Stratford line, which was opened by the Great Western Railway in 1906. The station opened in 1912 specifically to serve the new racecourse at Prestbury Park, home of the famous Gold Cup meeting. The platforms were extended at some stage to accommodate trains of up to 14 carriages. The station was only opened on race days and so facilities were rudimentary, but it continued to serve racegoers travelling 'by rail to the races' until the March 1976 Cheltenham Festival. Although most of the stations on the line closed in 1960 the line itself remained open for non-stop passenger services until 1968. 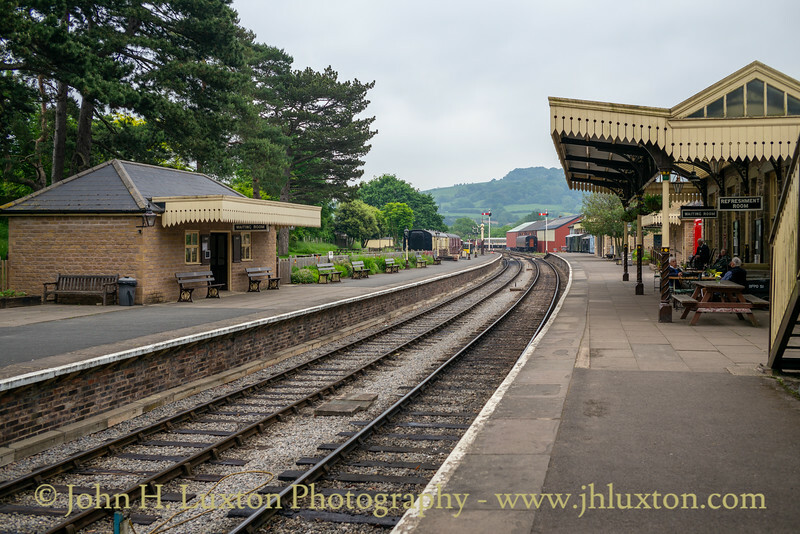 Special trains on race days only served Cheltenham Racecourse station from 1971 until 1976 when the line closed. The track was lifted in 1979. 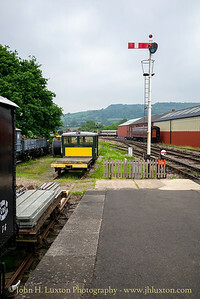 Cheltenham Racecourse (described by the Great Western Railway as Cheltenham Race Course) is at present the southern terminus of the currently 12-mile long heritage Gloucestershire Warwickshire Railway. 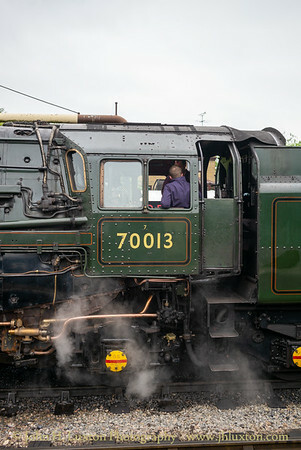 The line has been reopened in stages given that the Gloucestershire Warwickshire Steam Railway is run entirely by volunteers. The line track bed itself was bought in 1984. The track from Gotherington to the racecourse was re-laid in late 2001, The line was reopened as a heritage railway by the Princess Royal on 7 April 2003. The station itself is very attractively situated. It and is mostly in a cutting fringed by Corsican pine trees. Its northern end, where it emerges from the cutting, affords magnificent views towards Cleeve Hill. 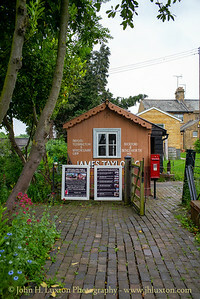 The original station booking office is of historic interest in that it is believed to be the only remaining example of a Swindon-built 'flatpack' prefabricated building that was brought by train and assembled on site. It is perched at the top of the cutting, next to the A435 road bridge and just three minutes' walk from the main entrance of the racecourse. It has been well restored despite the efforts of local vandals over the years and there is an interesting collection of artefacts housed within it. A gentle slope through well-tended landscaping gives access to the platform where there is a new station building with a canopy, toilets and waiting room. Currently, only one platform of the station is in use. The second platform had been removed owing to being unsafe, but now has been rebuilt by volunteers and completed in 2016. A new signal box was opened in 2005 to control the signals and point work around the station. 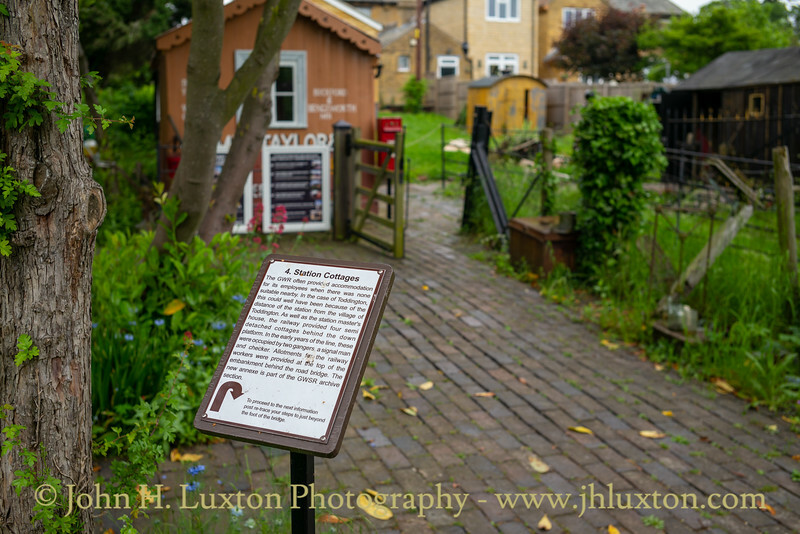 Hayles Abbey Halt railway station is a Great Western Railway halt on the Honeybourne Line from Honeybourne to Cheltenham which served the hamlet of Hailes in Gloucestershire, as well as the nearby Hailes Abbey, between 1928 and 1960. 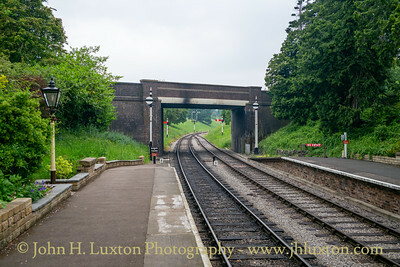 The line through the site of the station was reinstated in 1985 and opened in 1987 by the Gloucestershire Warwickshire Railway, although for many years no new halt was provided. 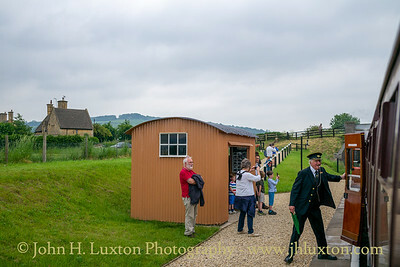 The halt was eventually reopened on 5 June 2017 after being rebuilt by volunteers. 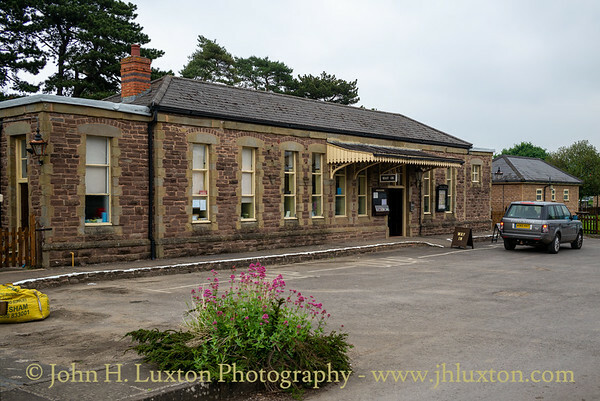 Toddington railway station serves the village of Toddington in Gloucestershire. 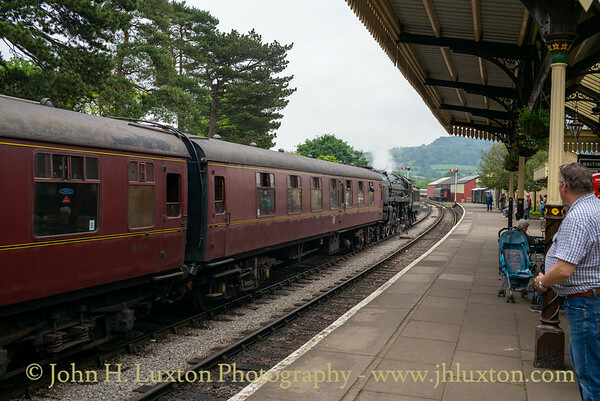 It is the main operating base of the Gloucestershire & Warwickshire Railway. 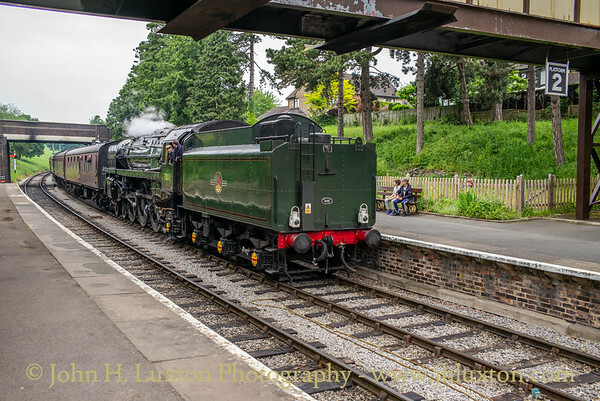 It opened with the Cheltenham to Stratford-upon-Avon Honeybourne Line on the Great Western Railway route linking Birmingham to the West Country. 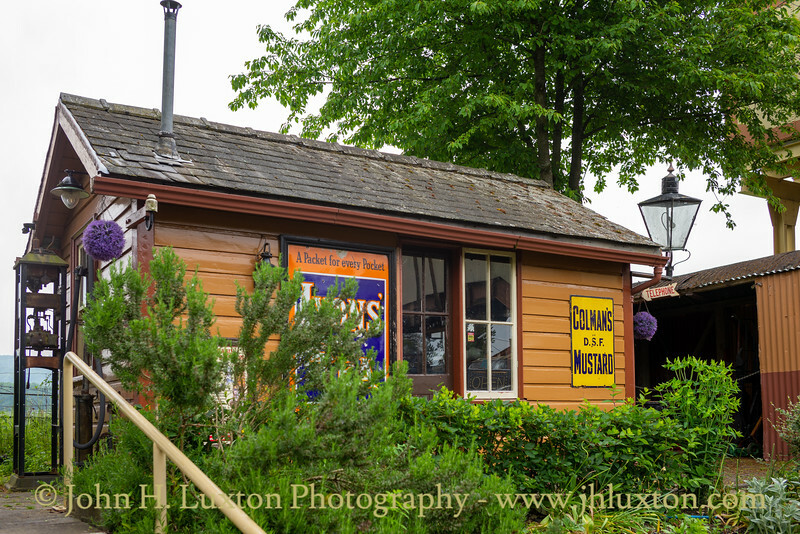 Since 1984 it has been the main base of operations for the heritage Gloucestershire Warwickshire Railway. The station was a centre of fruit and milk traffic, but receipts dwindled after a railwaymen's strike in 1955. The station closed to passengers in 1960, although the line itself remained open for freight and diversionary use until 1976; the track was lifted in 1979-80. The official reopening of the station took place on 22 April 1984 when Nicholas Ridley, the local MP, cut the tape on Easter Sunday.